Fall Armyworm- Follow-up on the Fall 2012 Infestation. 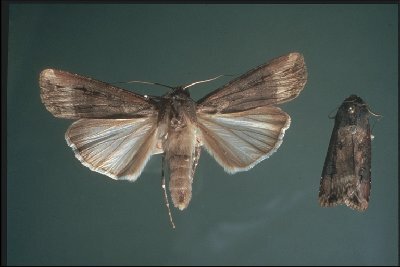 We know a number of you had to deal with the large infestation of fall armyworm we saw this past September and October. Infestations were reported in grass hay, & pasture, newly established or renovated forage grasses, wheat and rye cover crops, as well as in late maturing soybean and early planted wheat for grain. This was an unusual event, perhaps the largest population of FAW in recent memory. This may not be a clickable link in the blog. If you cannot click on the address then please copy and paste the address into your browser. No information that will identify you will be collected by the site. There is one location in the survey where you may leave an email address to follow up if you so choose. Those addresses will be held in strict confidence. They will NOT be shared with anyone else, and will be stored offline. We thank you in advance for taking just a few minutes to help us understand the impact, and distribution this insect had in 2012.